UFW Stories: "A man who fought for his people"
"A man who fought for his people"
I remember back when I was 12 or 13 at the time when that historical journey started in Delano, Ca and onward to the Capitol of California, Sacramneto. I remember my parents watching and following this this event on T. V. I became interested in watching this individual marching for a belief that he cared about his people. Later on, our family had learned tht one of his stops was to be in West Sacramento, where we lived. The stop that he made was at Our Lady of Grace School Auditorium. 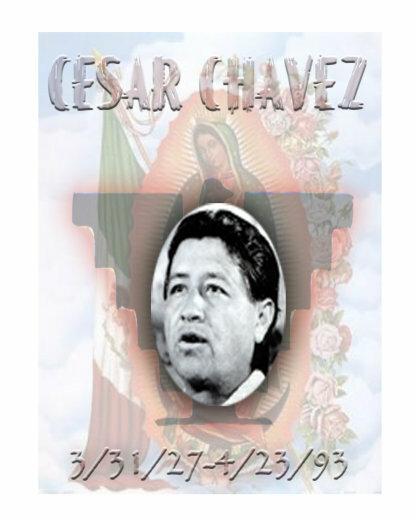 I also heard my parents state that we would be going due to her cousin being involved with Cesar Chavez’s march towards the Capitol to boycott grapes, due the unfair conditions for the workers. We were lucky enough to get right next to the stage due to my mom’s cousin’s involvement with the cause. Listening to Cesar Chavez was so inspirational that night. The best part of the night was when I actually got to shake his hand and saw something that Ihave never forgotten…his fight for his people. The next day dad, mom and us brothers went on that march to the Capitol and witnessed history being made for the farm worker.